The pageantry and elegance of the holiday season is on full display in the former winter home of the 33rd President of the United States, Harry S. Truman. This is a rare opportunity to experience this special time of year through the lens of the not-to-distant past! Have a flute of bubbly at Truman’s original bar or warm up with a cup of hot chocolate. Take in all the vintage regalia belonging to the museum’s private collection as you enjoy an evening fit for a VIP. Just before the locals settle down to celebrate the holidays with family and friends, they have to take care of some serious business. Boat owners and holiday light enthusiasts work tirelessly for weeks planning and executing their custom designs for the Lighted Boat Parade. This annual, uniquely Key West extravaganza brings in thousands of viewers and an esteemed panel of judges that vote for winners in several categories. The judge’s stand is located at Schooner Wharf Bar and the processional travels throughout the Key West Bight. 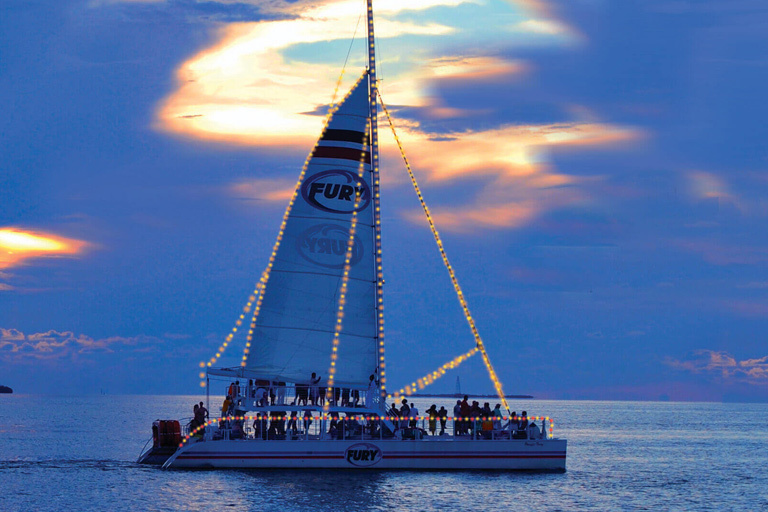 Jump on the fully stocked Fury Catamaran for an up-close view of the entire Lighted Boat Parade. Want to know the best way to see all the holiday lights across the island? It’s the Holiday Lights & Sights Tour presented by Old Town Trolley. 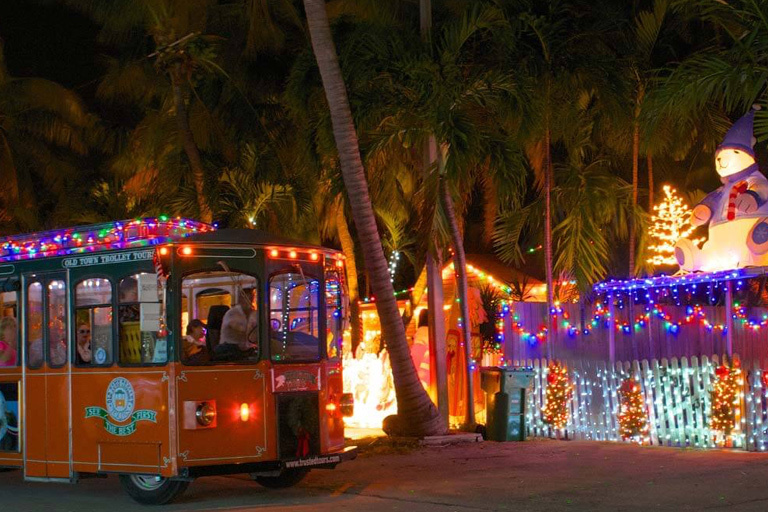 Enjoy cookies, cider and a 60-minute Key West tour that is sure to put you in the holiday spirit. Check out the Sunset Celebration in Mallory Square, and then jump on the trolley at 6:00pm for the start of your tour. If you haven’t heard, the historically charming architecture of Key West is one of the top reasons why people love to vacation in the Southernmost City. Some tourists love it so much that they end up buying a home and never leaving! A major part of the historic charm comes from quaint bed-and-breakfast hotels that cover the island. 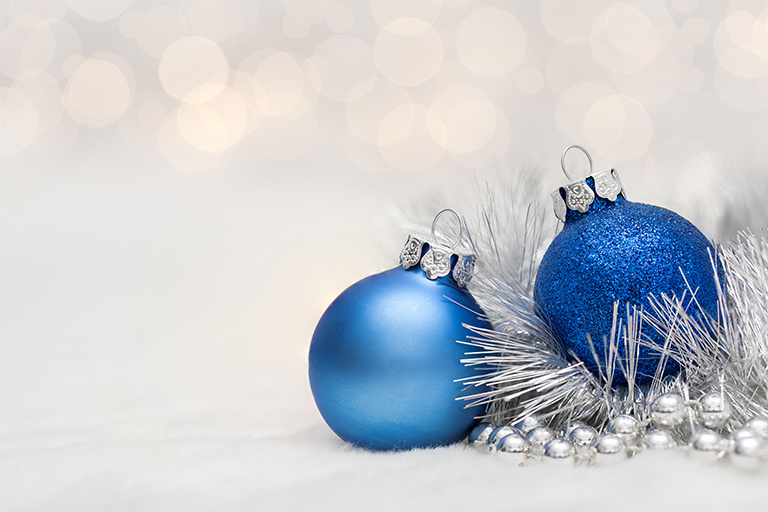 During the holidays, a variety of properties decorate their exteriors with lights and, over the years, tours started to develop. This year, you’ll have 2 nights to enjoy the guided tour of the Historic Inns. As one of Key West’s most long-standing and instantly recognizable attractions, this little-train-that-could has been delighting visitors to the Conch Republic since the 1950s! When the holidays come around, though, the holiday spirit becomes electric on the annual Holiday Lights Tour. Before boarding, indulge in some cookies and warm cider and don’t forget to study up on your caroling. Once the holiday cheer has been stoked, it’s time to light up the night as we cruise through Key West and marvel at the shimmering dance of color emanating from the thousands of lights adorning the light posts, businesses, and homes throughout the island. You’ll also receive a very special pair of glasses that enhances the light show to dazzling new levels! Who says you need snow and freezing temperatures to make it feel like the holidays? 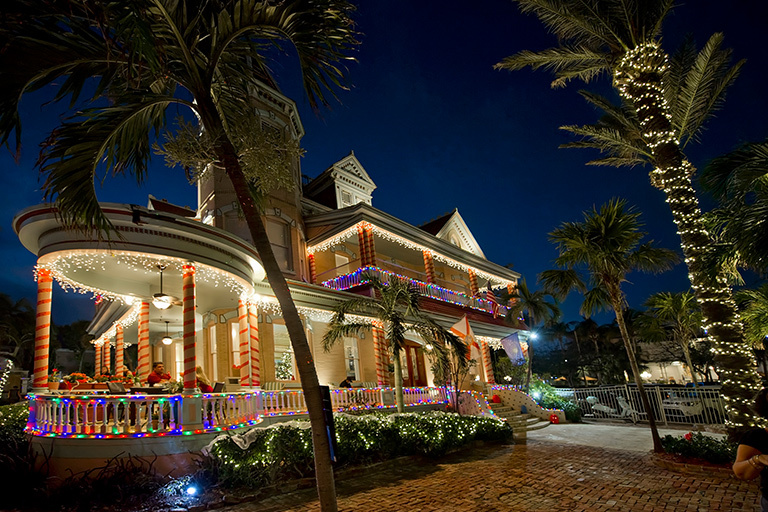 Get into the festive spirit, while staying warm, by hosting your holiday party in Key West. Whether it’s a corporate event, a family get together or time to celebrate friends, the island has a party venue to fit the occasion. Consider the Truman Little White House for outdoor space in a historic setting. Socialize in the gardens or take the action indoors to one of the home’s historic rooms. Event planners are on hand to help you create the perfect event from set up to catering. 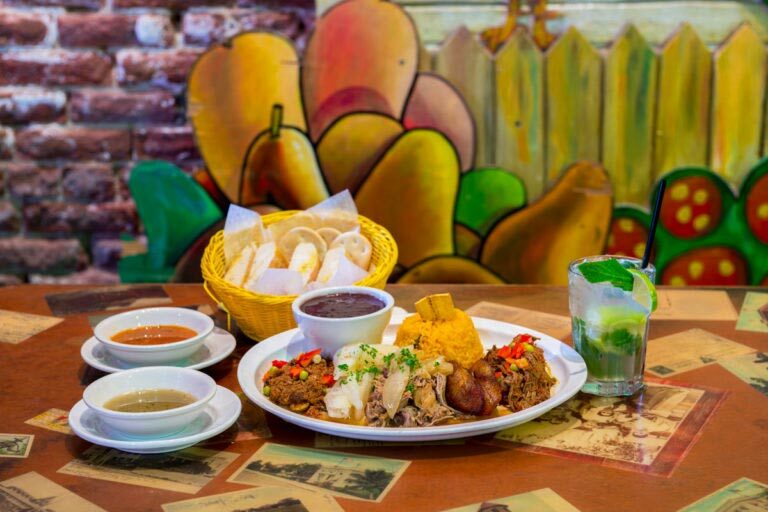 For those who love authentic Cuban food, host your holiday party at El Meson de Pepe. This family owned and operated restaurant serves up a delicious menu including nachos, guacamole, roast pork, marinated chicken and grilled steak. Don’t forget to order a round of mojitos to get the party started. Host your event on the back patio and watch the famous Key West sunset while celebrating each other. 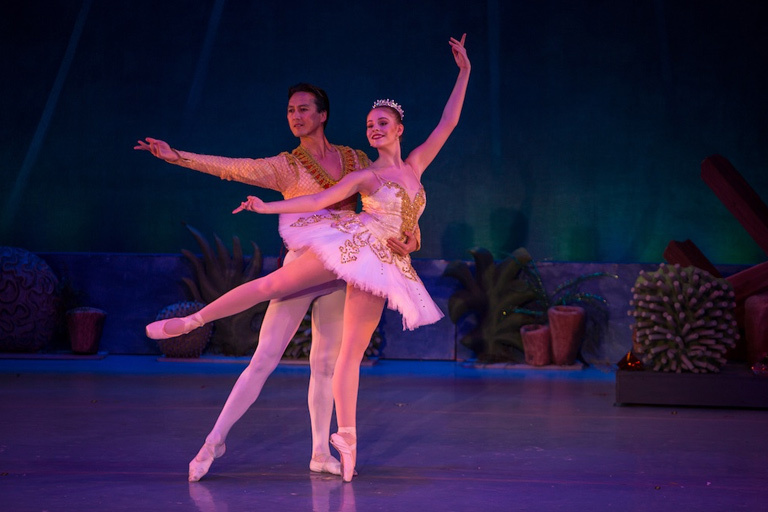 Since 1892, there have been more than 11 million performances of The Nutcracker in countries all over the world. In 2005, Key West started to produce its version of the classic Christmas tale, and the play has blossomed into the largest stage performance in the Florida Keys. It’s such a grand spectacle that the performance is on a bi-annual schedule, so if you miss it this year, you’ll have to wait two years to see it again! 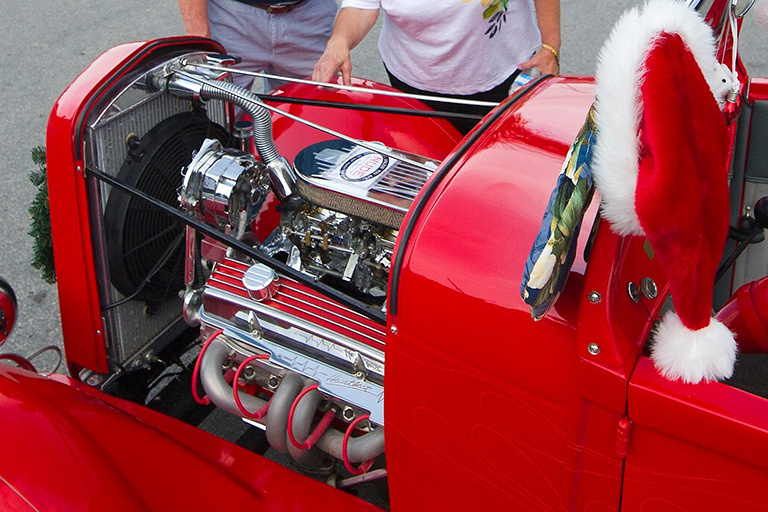 Check out the Southernmost Car Club and the free classic car show at the Historic Seaport. The exact location is in the main parking lot on Caroline and Margaret Street. The car club will be collecting unwrapped toys for the Domestic Abuse Shelter and decorating the cars for the holiday season. 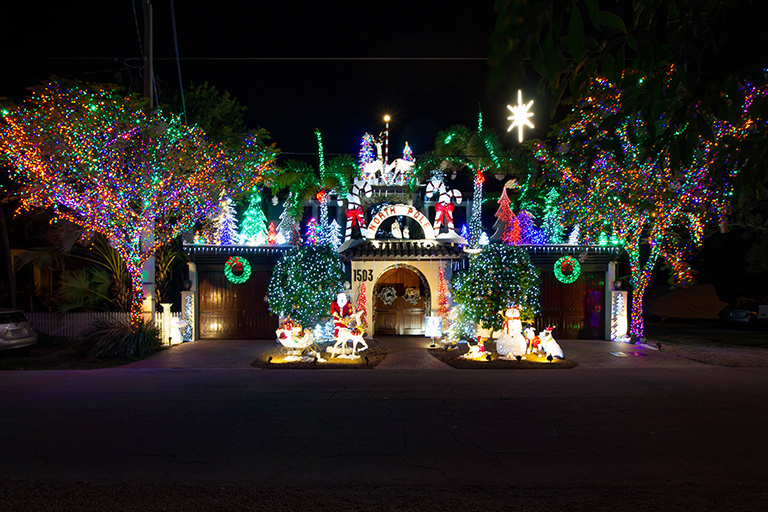 If you’re visiting Key West for Christmas, then your plans are probably filled with non-traditional ways of celebrating the holiday. No snowmen, hot cocoa or sledding here. It’s more like relaxing on the beach, palm trees with Christmas lights and touring the island in summer attire. 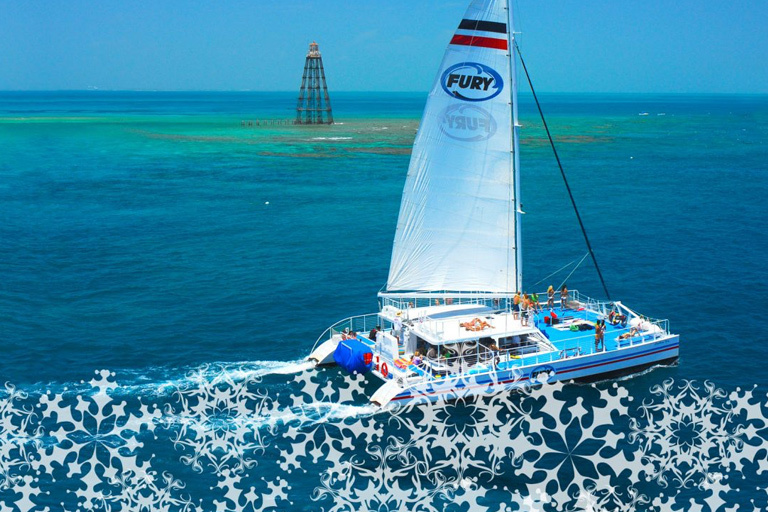 If you want to kick up your vacation a notch, check out the Ultimate Christmas Adventure by Fury Water Adventures. It’s a full day of exciting watersports and a traditional holiday meal served on their state-of-the-art catamaran.